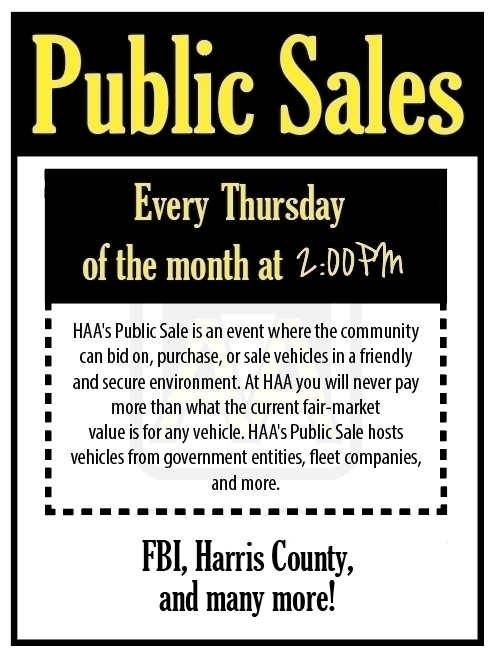 VEHICLE PRE-SALE LIST e-mailed directly to you every other week, for ALL of our public sales? Sign Up Below! Subscribe to our Newsletter and stay up to date on sales and events. 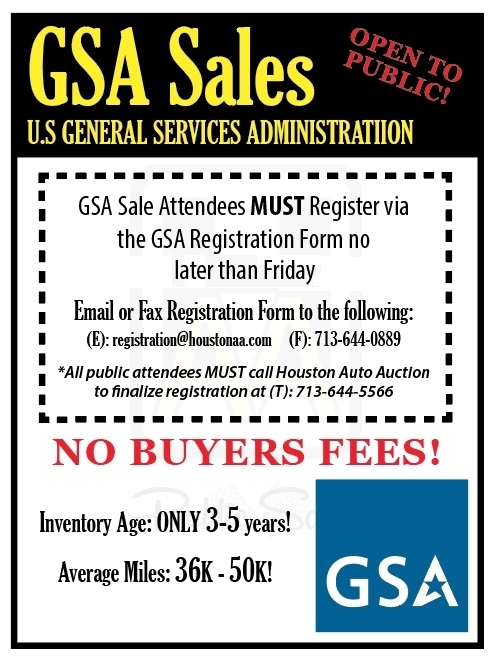 For questions setting up your online account, please contact us at 713-644-5566! Monday 9:00 a.m. - 5 p.m.
Tuesday 8:00 a.m. - 5 p.m.
Wednesday 8:00 a.m. - 5 p.m.
Thursday 8:00 a.m. - 4 p.m.
Friday 8:00 a.m. - 12 p.m.